Hello and welcome to episode sweet sixteen of Coexisting With Nonhuman Animals. I'd like to talk about an Australian holiday, aptly named Australia Day. Just to be clear, I'm a New Zealander, we are not part of Australia no matter how much Australia wishes it could steal our best actors and pavlova, a meringue type dessert made by beating egg whites. Australia and New Zealand have grappled since the dawn of time who came up with the crusty white blob, its known as a national food of BOTH countries. Wikipedia is currently saying New Zealand seems to be the origin, although Wikipedia is easy to "correct". Frankly, I never liked pavlova, or "pav" as its often called, and I dont miss it now that I'm vegan. I have two good friends to include later on, Sam Tucker, a fellow New Zealand vegan and Francis Glass, an Australian Vegan who was interviewed by Elizabeth Collins on NZ Vegan Podcast episodes 34 and 35. I've mentioned before "world famous in New Zealand", a feeling that what New Zealand has to be proud of is often not known outside the country, we have a related issue where we feel our best things get stolen by larger countries, ESPECIALLY BY AUSTRALIA! On both sides of the tasman, Australia and New Zealand mention this in advertising. It seems that Australian and New Zealand ads are more laid back than many other countries. I'm only mentioning our supposed rivalry, as its mentioned in many of our ads, I've been to Australia and love the country and its people. I wish New Zealand and Australia could be closer, we have similar cultures, and the land itself compliments each country. New Zealand is beautiful, with more rain, and greenery, and Australia is beautiful because of how hot it is, with the arid outback, and sandy beaches. We jest, but its only playful, as in these ads. Pharr Lap was a famous race horse, who was born in New Zealand but raced in Australia, both countries claimed him. When he died, parts of his body were kept in Australia, I believe they have his hide and his abnormally large heart, and I've seen his skeleton, in what looks like a large fish tank, at Te Papa, the national museum of New Zealand. Pharr Lap is mentioned in the Australia Day ads. One of our famous ads, about being "100% pure" and "100% green" was parodied in Australia, that sure, New Zealand is beautiful, lush and green with mountains and lakes and streams and green forests, but we have 0 airforce, 0 navy, 0 army to protect it, and that Australia could just waltz on down and claim the lot! Time to get to the point of this episode. I'm mentioning Australia Day because of a series of ads by Meat and Livestock Australia, MLA, who promote eating lamb on Australia Day as a thing REAL Australians do. To not eat lamb is said, in the ads, very bluntly, to be "unaustralian". I'm not making that up. I've found these ads to be annoying, as they fuel a culture, both here and in Australia, about being a "bloke",meat, barbecues, beaches, shorts, sports, beer, and being "un politically correct" and blaming "greenies" for everything thats wrong with the world. The ads do have some somewhat funny lines, and I'm not demanding they be pulled. That would only make us look "annoying", as if the stereotype of the bossy vegetarian, or vegan, were true. Perhaps the best way to combat these sorts of ads is to show the world that vegans are not "tree hugging greenies", and that we are all shapes and sizes, that athletes, and "real men" can, and are vegan. Australia Day itself has been protested in recent times, with some groups calling it "Invasion Day", meaning when the europeans arrived in the country. I'll let my Australian friend Francis explain this better soon, as he knows more about it than I do. Apparently these ads are fairly well known in Australia, as they come out just before Australia Day each year. The ads mostly mention events that had happened in the year, and how these would have been better if only Australian ate more lamb. One of the things that jumps out is when Helen Clark, at the time Prime Minister of New Zealand is mentioned, we're told she looks like a man. I'll play the ads I have, starting at the most recent 2010 version, as it was played on No Agenda. There have even been response ads, such as one advertising eating CHICKENS on Australia Day, and a splendid ad from a Vegetarian company. I'll play those now. "chook" is an Australian slang word for "chicken". I've always hated the word "chook", it sounds disrespectful to me. I would never call my Chicken Friends a "chook", neither would I call a dog a "mutt" or a cat a "moggy". And here is the awesome Vegetarian ad, although, it oddly mentions "lamb is fine if you are into that sort of thing", which I find rather odd for a vegetarian product salesman to say. I emailed Adam Curry and John C Dvorak, and Adam decided to include the clip on episode 168 of No Agenda. There have been others who have mentioned the linking of meat and Australia Day. The group Animals Australia is offering "cruelty free" recipes for you to download. 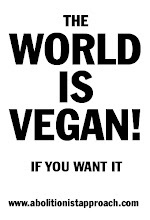 On that page, not once do Animals Australia use the word "vegan", although they do have a "go veg for 2010" aspiration. I hate the shortened "veg", and similar words like "veggies", as if its so difficult to say "vegan" or "vegetarian" or "vegetables". I doubt that promoting Veganism is the major work of Animals Australia. I have two clips from good friends to play. I asked Francis Glass, an Australian Vegan, to help me with this episode. He was featured on episodes 34 and 35 of NZ Vegan Podcast, which I hope you will listen to. I've spent far too much of this episode talking about other things, I'm going to let my friends tell you more about Australia Day. I'm really glad that Francis be on my show, along with my next guest, they've really made this episode great. I'm going to post the picture Francis sent me on my blog, coexisting with nonhuman animals . blogspot.com . I thank Sam very much for his wonderful contribution, he's said everything I could have wished to say myself about Australia Day. You can find Sam's radio show at f f t radio.wordpress.com . Thank you so very much to both Francis and Sam for providing actual substance to this episode. I hope that soon, both Australian and New Zealand ads will "grow up" over ads making jokes about "greenies". It is funny to think about though, if we make up just 1% of any given country, and yet are so "feared" that we have to be held back by "The Man", for fear of destroying national traditions, as being "un australian", imagine if we dared to break 1.1%. I guess as more vegans arise from veganism being actually promoted, that the stereotypes will die out, and our friend Sam Kekovich will be shown up as an overweight retired sports player. I'm sure once there are enough Vegans in Australia, that tofu companies will be rich enough to buy him out or better yet, perhaps with vegan education he'll change his beliefs, just like New Zealander Mike King jumped ship from promoting New Zealand Pork to campaigning, for, um, welfare reform, bigger cages, only eating the GOOD happy meat kind of pork, something like that. On second thought, maybe we cant rely on large companies or groups to promote veganism, and we should each do what we can to help spread Veganism creatively and nonviolently ourselves. But I think Francis is too offended by the ads. Francis is right, white Australia does indeed have a black history. I completely agree with you regarding the use of words like "veg", "veggie", "vegetarian", etc. We should only use the word vegan.